It's no secret China's digital marketing sector has been on a tear recently. New numbers show just how much. Google is still king of the digital ad-spend roost, according to numbers eMarketer crunched from a slew of company reports. The Internet giant gobbled up a 31.1 percent share of worldwide ad spend on digital channels. But that is down slightly from 2013 when it had almost 32 percent. Some of that loss goes to Facebook, which jumped from 5.75 percent in 2013 to 7.75 percent in 2014. 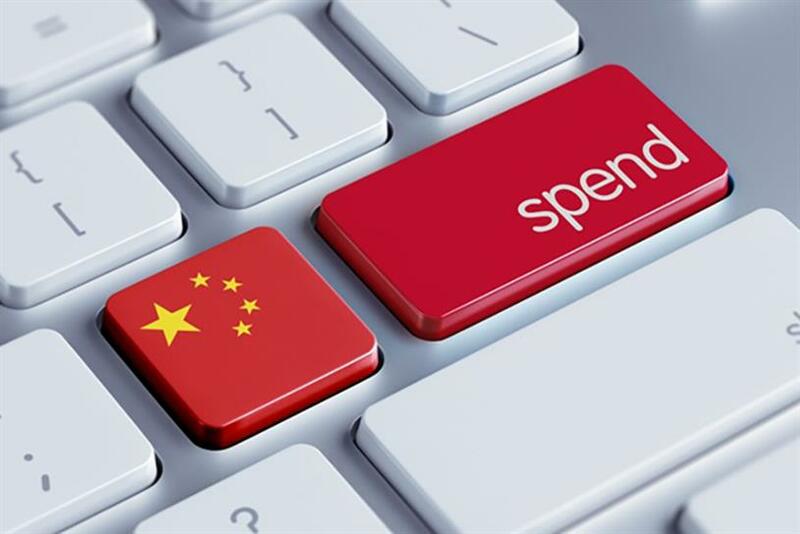 Closing out the top five names on the digital spend list are Baidu, Alibaba and Microsoft. The operating system maker also shrank slightly in share this year while Baidu and Alibaba both grew, now combining for nearly 10 percent of overall digital ad spend around the world. Since most of that spend likely begins and ends only in China, the numbers show not just growth but possibly just the tip of an iceberg. Singles' Day, which Alibaba has turned into a multibillion dollar behemoth, was a China-only event before this year. In 2014, it reached outside the great wall to pull in sales from around the world. Reports after the event widely showed that people in 217 countries and regions outside the country also got in on the deals, with Hong Kong as a more obvious participant. But shoppers in Russia and the United States also made big showings. So expect the global reach of China’s internet titans to keep expanding. While that may still seem unorthodox to some outside China, inside it's a foregone conclusion. "The reality is in China that advertisers really don’t care whether Alibaba or Tencent overtake Facebook," said Bryce Whitwam, managing director at Wunderman in Shanghai. "They are definitely committed to these platforms and will continue to spend more on them in the future. The reason points to lifestyle convergence of mobile, which is much more expansive and sophisticated compared to non-Chinese markets. " Further numbers from eMarketer show mobile ad spend in China grew 600 percent this year to $6.3 billion, surpassing both the UK and Germany to become the second-largest mobile ad market behind the US, where advertisers spent nearly $19 billion on mobile tactics. "Once people use Wechat, Baidu and Tmall/Taobao in every aspect of their daily lives — socializing, researching, entertainment and shopping," Whitwam said, "they are consistently being pulled away from traditional mediums. As a result, we have clients now who are exploring a ‘100 percent mobile’ approach to their China media strategy." Data supports anecdotal evidence that Baidu's and Alibaba’s influence in the worldwide mobile ad market could swell in just a short time. Both companies have acted to innovate within China’s rapidly expanding mobile ecosystem. Estimates from eMarketer show mobile spend for the worldwide market should top out at $40.2 billion this year, and Alibaba’s share will likely swell from 1.6 percent in 2013 to 6.2 percent at the close of 2014. The same data also points to Baidu growing quickly from 2.6 percent in 2013 to 5.1 percent this year. Google still claimed the lion’s share of that market, 40.5 percent, but that’s down from over 40 percent from the past year. Alipay, the Alibaba spinoff that has rumors of its own IPO, has already expanded operations into Hong Kong, with Taiwan and Singapore next on its expansion list. Alipay options are also showing up on international travel sites for Chinese shoppers but exposure there could do a lot for the Alipay brand image as well. And just recently the company struck a deal to allow account authentication via the iPhone’s fingerprint sensor. "You cannot avoid these players if you want to reach your consumers on mobile in China," Whitwam emphasized. But looking at eMarketer’s numbers and Baidu and Alibaba’s rates of innovation suggests that maybe it’s more than advertisers in China that need to pay attention.